It is snowy here today. Not actually snowing but there is snow lying around. I hate to think that Jackson might be out there somewhere – cold and hungry. So what do I think has happened to him? He went out at usual at 10.00pm on Saturday 20th December and did not return at 7.0am the next day. His usual pattern is to be at the patio door when we get up. At first I did not worry unduly but by the next morning I was frantic. We telephoned all the vets, animal rescue places and the council. We stuck up posters on lamp posts and walked miles and miles. There is nowhere near my house that he could get shut in. I think it unlikely that he was stolen as who is going to be up a country lane in the middle of the night looking for a cat to steal? I am sure he would not go into a strange house willingly. He hates cars and would not get in one. So where is he? My gut feeling is that he was hit by a car and either crawled off somewhere to die or a fox found him and ate him. There is one more scenario which does not bear thinking about. There is an Indian restaurant at the bottom of the road and John found some snares tied to the wire that surrounds a field next to the restaurant. We assume they are for rabbits – but who knows? But I have to move on. This time next week I shall be collecting Otis. Slip is missing Jackson and so I hope she will take to Otis. We will have a very large pen in the lounge to start with so that Otis can see Slip and get used to her without feeling threatened. I shall let him out of the pen when I am in the room and put him back when we go out. I remember the damage Jackson did when he was a kitten – absailing the curtains, unrolling the toilet paper, getting into cupboards etc etc. Eventually Otis will be allowed outside but not until I have a live tracker for him. There is one coming to the market early this year. You fit it to the cat’s collar and you can see where he is on your PC or iPhone at any time. You buy the tracker and then pay so much a month for the service. I am going to be stocking Jo Sharp yarns and patterns. I have always liked them, the colours are so nice. Now I am going to make a Smokey Pork and Bean casserole for dinner tonight. John and Slip are out shooting and are sure to be ravenous when they get home. Yes, I am still alive. I have decided to start posting again. 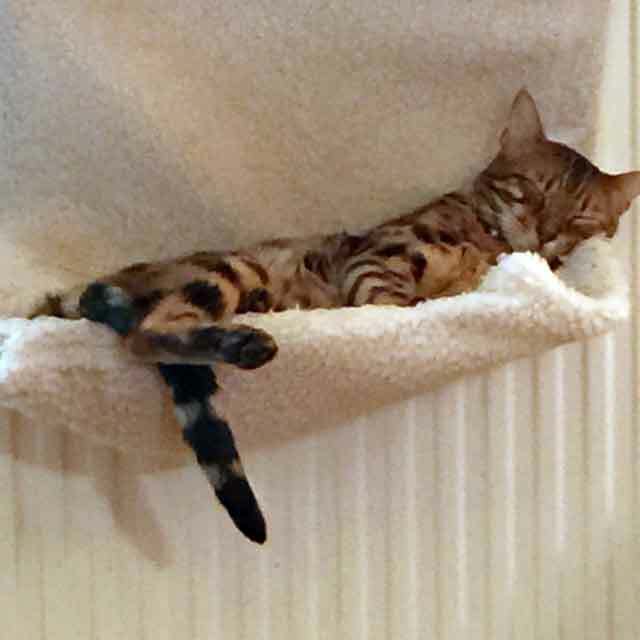 For those of you who do not know, my Bengal cat, Jackson went missing on 20th December and has not been seen since. It is a complete mystery as to what has happened to him. As you can imagine, I was heart broken but I have had to come to terms with it and accept that he is never going to come back. 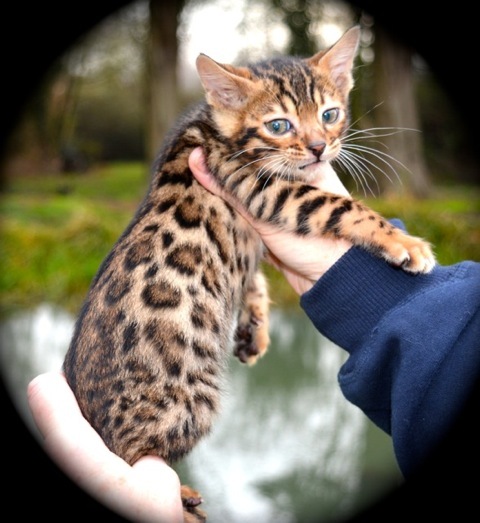 I have a new Bengal kitten coming. I am going to call him Otis and we collect him on February 6th.